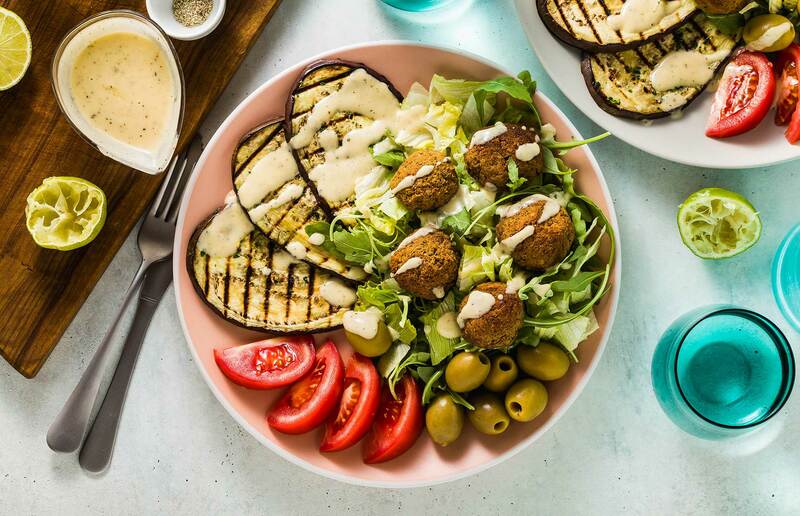 Think of Israeli food and you probably imagine pitta breads stuffed with falafel, bowls of hummus for dipping and colourful tomato salads with plenty of herbs and olive oil. And you wouldn’t be wrong. But there’s a whole lot more to this country’s cuisine than the classic dishes that have become popular in Europe. We explain what you need to know, where to eat if you're visiting and offer some tips and recipes to recreate authentic dishes yourself. “Israelis cook and eat whatever is around them,” says Tel Aviv food tour guide Inbal Baum when asked to define Israeli food. “When my grandfather came in the 1930s from Slovakia, there was nothing, so they had to grow the land,” she tells me. “What they’d eat was what was around them. We don’t call it ‘farm-to-table’, but that’s what it was. In order to understand Israeli food, Inbal says, you first have to look at its topography. Within this compact country you’ll find a sweltering, barren desert in the south, mountains with snow and ski resorts in the north, two different seas with glittering coastlines, two major lakes, and green hills and valleys in between. READ MORE: Discover Jerusalem with our 48 hour city guide here. This varied landscape creates a wealth of food – and the temperate climate in the Middle East means Israel produces almost everything, so there’s very little need to import. You’ll find herbs, vegetables and dairy produced in the mountains, vineyards and olive groves in the north, and plentiful fish and seafood along the coast. This also means Israeli cuisine is extremely seasonal: when there are no tomatoes growing, there are simply no tomatoes. There are two months of the year when you can’t buy peppers, and if you do find them, they’ll be imported and expensive. The term “Israeli cuisine” is something of a misnomer. Israel is a young country (it was declared independent in 1948 after a UN ruling) and so its culinary traditions are instead borrowed from the many countries it now borders and the people who have emigrated here in the last hundred years. After independence in the mid-20th century, thousands of Jews from around the world – from North Africa to America and Eastern Europe to the Middle East – flocked here to set up new lives in their motherland. While the new generations consider themselves Israeli, their roots are not forgotten in the kitchen. This is why dishes like couscous (also found in Morocco and across North Africa) and falafel (found throughout the Middle East) are today’s Israeli staples. If you only try or cook one thing, make it one of these typical Israeli dishes. No matter where you have it, an Israeli breakfast is a serious feast. Usually a combination of eggs, bread cheese and various meze, it’s the kind of meal you’ll want to spend a couple hours grazing on. 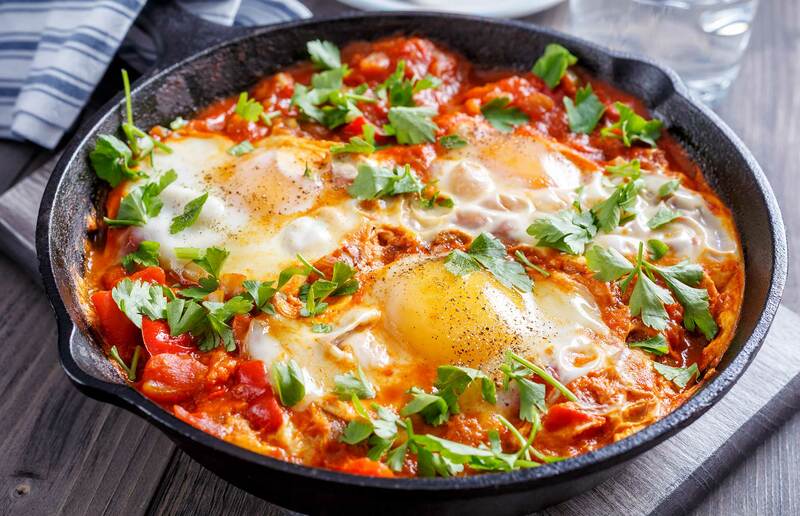 These days, eggs often come in the form of eggs benedict or an omelet, but a traditional shakshuka is the best way to have them – served in cast-iron pot, they’re cracked into a tangy sauce of chopped tomatoes, paprika, garlic and fresh parsley and cooked on the stove until white. 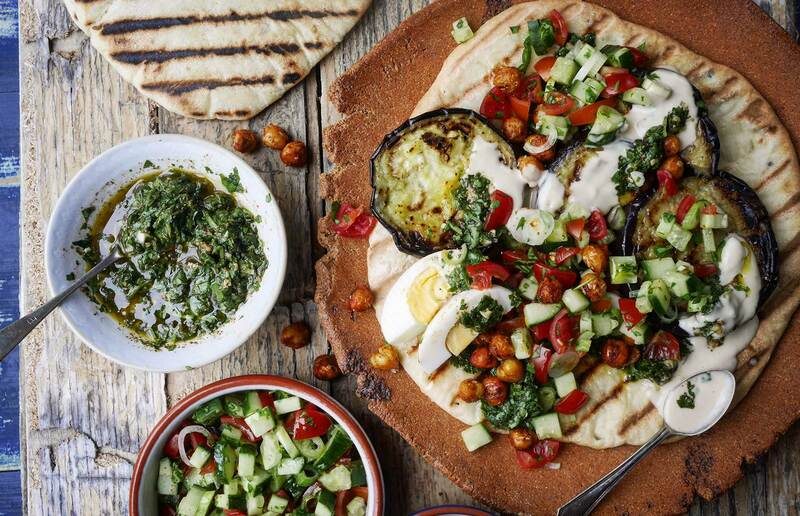 Meze breakfast dishes usually incorporate white cheese (often halloumi or cottage cheese), hummus, olives (sometimes as a tapenade), baba ghanoush and a tomato and cucumber salad. This simple vegetarian sandwich is pipped to be the “next big thing” in street food in Europe. Invented by the Iraqi Jews who came after Israel’s independence, it encapsulated the country’s immigrant history and incorporates many of the key ingredients used in Israeli cooking. A soft, thick, fluffy pitta bread is cut open and stuffed with tomato, lettuce, cucumber, red cabbage, beetroot, grilled aubergine and a hard-boiled egg, then doused in tahini and amba (a savoury mango chutney) and scoffed from a paper bag by Israelis on the go. Hummus as we know it doesn’t really exist in Israel. The refrigerated stuff we buy in the supermarkets is used as a spread in sandwiches or on meat, but rarely enjoyed with the carrot or celery sticks we’re used to. Instead it’s a meal on its own and there are entire restaurants dedicated to it throughout the country. 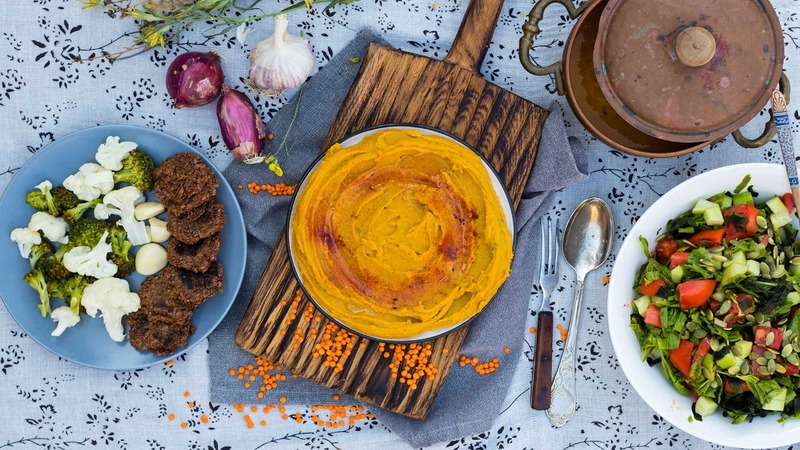 Typically made with a blend of chickpeas, tahini, salt, lemon and water, Israeli hummus is served warm, fresh from the stove, and offered with a variety of toppings, from pine nuts to lamb stew. Cutlery is made redundant by the accompanying pitta and onion, which is used to scoop up the creamy paste. This vegetable-heavy cuisine is easy to cook in the UK, but many of its flavours come from herbs and spices that are difficult to find in western Europe. 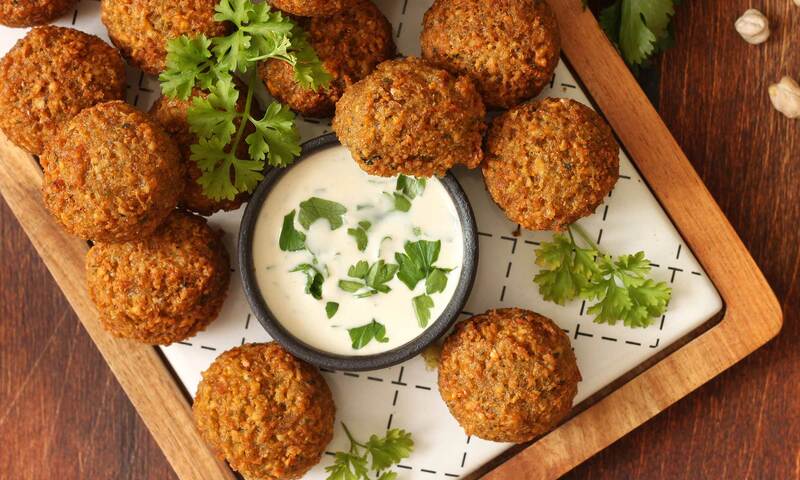 If you’re planning an Israeli feast or simply want to incorporate this fabulously fresh cuisine into your daily diet, here are a few key ingredients to invest in. It’s a smooth, bitter paste packed full of iron, calcium and protein, and is often used to add that creamy element to kosher meat dishes (Jews can’t eat meat and milk in the same meal) or as a vegan alternative to dairy. If you get your hands on some good tahini, use it in sandwiches (it features in the sabih), on falafel pittas or as salad dressing, or enjoy it as a dip with raw vegetables and bread. You can also make it sweet by adding silan (date honey, see below) and drizzle it on desserts. This herb mix is prolific throughout Israeli cooking, adding an addictive umami flavour to any dish. Za’atar is a combination of the za’atar herb – it grows all over Israel and is from the oregano family – whole sesame seeds, sumac and garlic. It’s superb on grilled meat, used as a salad dressing or mixed with nuts as a snack. You’ll often see it at breakfast too, mixed with olive oil to be used as a dip for bread. Dates are prolific all over the Middle East, and in Israel it’s no different. The date honey, known as silan, is sometimes used as a dipping sauce at breakfast, or mixed with tahini to make a sweet version of the paste. It’s a vegan alternative to bees honey and can be used instead just like maple syrup on pancakes. For international fare: Vicky Cristina is a delightful tapas and wine bar serving up Spanish specialities such as pintxos and paella. For something a little different, Racha serves up good Georgian food in a friendly and relaxed environment. For fine-dining: OCD is one of the most sought-after dining experiences in Tel Aviv. Run by self-confessed obsessive-compulsive chef Raz Rahav, you’ll sit down for a 6-12 course tasting menu that incorporates traditionally Israeli flavours in a variety of unusual textures. Reserve well in advance, this place is booked up two months in advance. For a vegan feast: Meshek Barzilay was well ahead of the vegan trend that’s now taken Tel Aviv by storm. Serving incredible international dishes without using meat or dairy, this lovely restaurant on a quiet Tel Aviv backstreet is a real gem. Save space for the tahini dark chocolate at the end. For international fare: Anna is a light, airy Italian cafe serving spectacular pastas and small plates. For a show-stopping view: Hotel Mamilla’s rooftop terrace restaurant is the place to eat well with a wonderful view. Overlooking the Tower of David and Old City, it’s incredibly romantic, and the food is truly divine (try the bone marrow and pomegranate for starters). 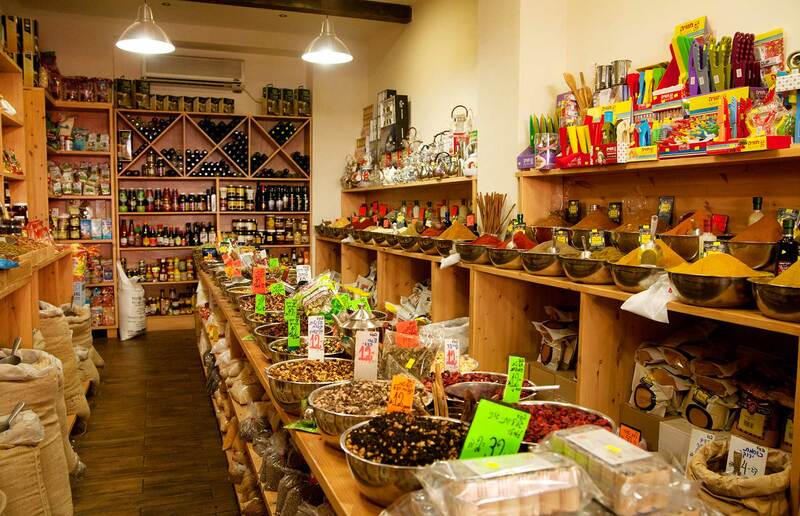 For exquisite presentation: Macheyuda is perfectly placed right next door to Machane Yehuda market, meaning they get all the best produce from the hundreds of vendors that set up stalls daily. Presentation is stunning, and the menu is inventive with dishes like bone marrow beef tartare and “Fatush salad like you’ve never had before”. If you’re serious about eating your way around Israeli cuisine, come during the Open Restaurants festival held in November. This four-day celebration of Israeli food sees Jerusalem’s top restaurants open their kitchens for special workshops, talks and cooking lessons, and one-off events are held throughout the city. Expect food-focused walking tours, foraging excursions or dining with monks in monasteries. Events are mostly ticketed, though some are free, with booking opening on 15 October. Check open-restaurants.co.il for more information. If you’re sold on Israeli cuisine, there’s no better way to have it than on its home soil. Here are a few essential food experiences. Nowhere are Israel’s multicultural roots more evident than in its food markets. Jerusalem’s Mahane Yehuda market (pictured below) is a sprawl of fresh veg stalls, bakeries, spice shops and cafes, each with their own fascinating story. There’s the bakery run by an Iraqi Muslim and an Israeli Jew who make the best sabih in town, or the ‘Etrog Man’ stall selling citrusy health drinks inspired by the famous 12th-century doctor. You can taste the highlights on a self-guided tour using the Yalla Basta taste card and audio guide. In Tel Aviv, make for Carmel Market. From Polish to Persian, there’s all manner of food for sampling here. Don’t miss an introduction to the Israeli craft beer scene at Beer Bazaar (who also have an outlet in Jerusalem’s Machane Yehuda) and take time to try the varying flavours of halva on offer. An essential experience for any newbie to Israel is dinner at a grill restaurant, says chef Eran Tibi. “It’s humble, simple, nothing sophisticated, but it’s also in your face, fun and friendly.” The idea is simple: you choose your meat (lamb shoulder, chicken shish, beef steak) and the waiters do the rest. The meat is accompanied by a selection of whatever meze the chef feels like making that day, such as pickled vegetables, salads and hummus, and it keeps coming until you tell them to stop. The best way to get acquainted with Israeli food is to cook it, and Delicious Israel run brilliant ‘shuk and cook’ classes in Tel Aviv. Expert food guides will take you to Camel Market to purchase ingredients from spice stalls and fruit and veg shops before you head back to the kitchen to prepare it all with an Israeli chef. Alternatively, if you just want to sample the creamy chickpea paste, head to Hummus Akramawi in Jerusalem for an authentic experience. 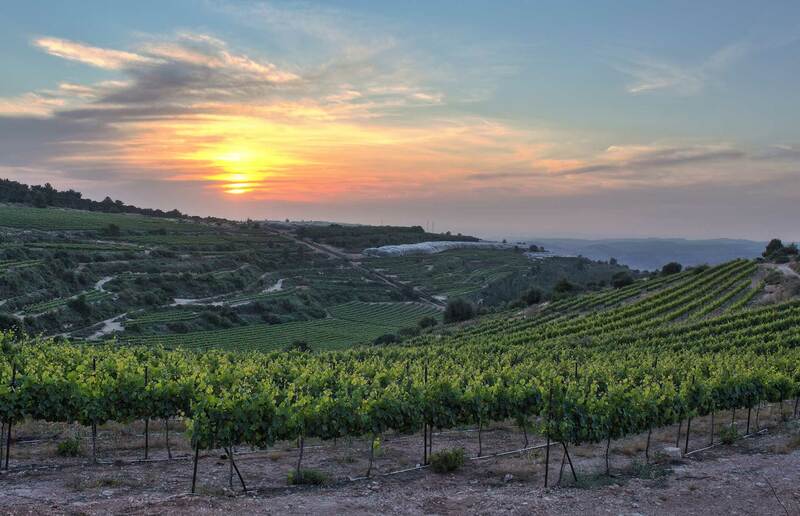 Israel isn’t world-famous for its wines, but the country produces some fine drinks. On the outskirts of Tel Aviv, conveniently near the airport, Villa Wilhelma Winery is a pretty place for an afternoon tipple. There’s a visitor centre in the cellar where you can do tastings and workshops and learn more about Israel’s viticulture, and for those not partaking, a charming coffee shop awaits in the villa itself. READ MORE: Check out our local's guide to Latvian cuisine too. For something a little harder, make for Milk & Honey Distillery in Tel Aviv. There’s oak-aged gin, unaged whisky and single-malt, plus a special edition ‘herbal liquor’ that’s supposed to represent the essence of Israel. It’s jam-packed with herbs like tarragon and thyme, and is 35% proof, so can be something of an acquired taste. Book ahead for brilliant tours of the distillery. For more information about restaurants, where to eat and what to see and do around the country visit the Ministry of Tourism website: Go Israel.